The U.S. Customs and Border Protection (CBP) decided Tuesday to conduct medical checks on every child who comes through its facilities following the death of two children in hospitals after being taken into CBP custody. CBP is asking for help from other government agencies, such as the Department of Health and Human Services (HHS), the Department of Defense (DOD) and the Federal Emergency Management Agency (FEMA) to provide health care and to conduct the health screenings, according to a statement obtained by The Associated Press. Border Patrol agents noticed the child showing symptoms of illness Monday and “promptly transferred” him to the hospital where he was initially diagnosed with a common cold. Hospital staff also noticed a fever after he was evaluated for release. 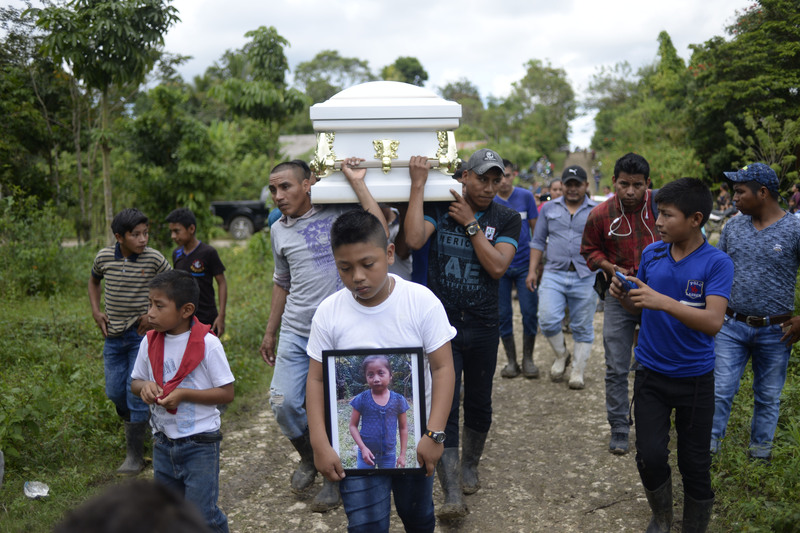 The boy, identified by Guatemalan authorities as Felipe Gomez Alonzo, was released after further observation with prescriptions for Amoxicillin and Ibuprofen. Later that day, the child was forced to go back to the hospital after he “exhibited nausea and vomiting,” and died that hours later. The cause of death remains unknown. A CBP spokesperson could not immediately respond to how many children are currently in its custody, the AP reported, but thousands of children are processed by the agency every month. The Department of Homeland Security (DHS) asked parents to not put themselves or their children at risk earlier in December after a 7-year-old Guatemalan girl died in the hospital hours after her father turned himself and his daughter in to Border Patrol officers in New Mexico. The young girl, identified as Jakelin Caal, began experiencing seizures shortly after being taken to the facility. She was determined to have a fever of over 105 degrees, according to DHS. Caal was promptly taken to the hospital for further treatment. “At the hospital, the child was revived after going into cardiac arrest. However, the child did not recover and died at the hospital less than 24 hours after being transported,” according to a DHS statement. The Guatemalan consul in Phoenix, Oscar Padilla, told the AP that Felipe and his father, with whom he was traveling, were planning to go to Johnson City, Tennessee.